A number of companies have encountered the need to strap containers in order to prepare them for shipping. While a few strapping jobs can be handled by hand, certain organizations are require to ship orders regularly and need a speedier way. The Workplace Depot is excited to offer the Semi-Automatic Strapping Machine. This versatile unit is designed to receive and cut polypropylene shipping straps to speed up the productivity of any worksite. 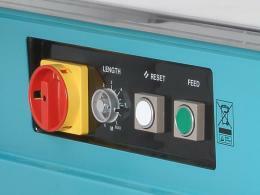 Durable but mobile, this robust unit can been transferred to any station as needed. What is The Purpose of The Semi-Automatic Strapping Machine? The semi-automatic strapping machine is designed to speed up the process of strapping and improve the output of any shipping or packaging operation. With a push button feed designed to work with preset strap lengths, this handy unit can complement any industrial site where strapping is required on a regular basis. By removing the need to abandon current tasks to unroll, measure, and cut straps, any worksite can improve the speed and efficiency of their projects. This product can be very useful at any location where strapping is required on a regular basis. Shipping companies, wholesalers, and factories all face the task of handling a large amount of orders and making sure their customers receive products in a timely manner. The semi-automatic strapping machine is designed to streamline the process of preparing straps for containers of various lengths. 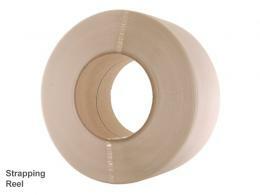 This product can be used by any crew member who wants to make strapping an easier process. Normally multiple team members are required to measure and cut straps. By having a reliable machine to do this type of work, any work crew can speed up their operation. 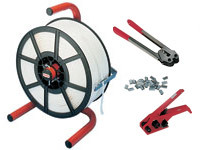 Designed for use with 6-15.5mm polypropylene strapping, this auto-sealing unit can complement any worksite. 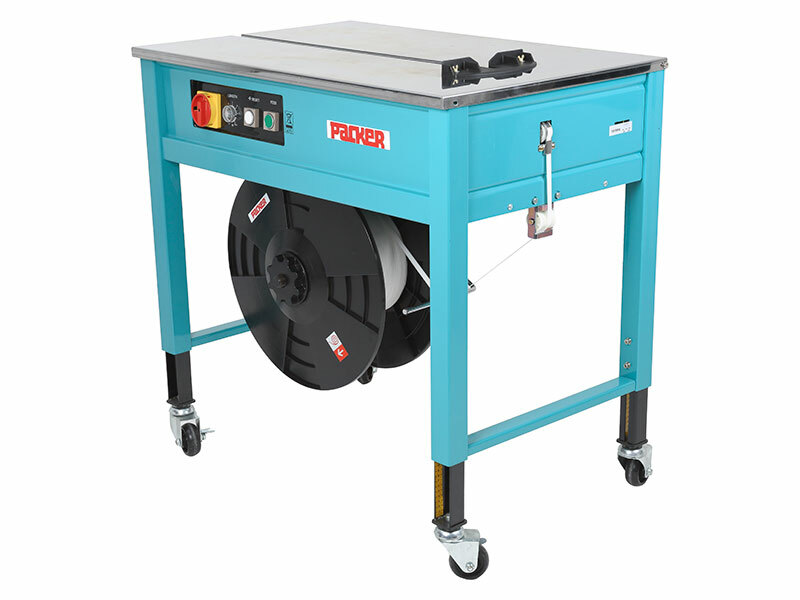 With castors that make it easily movable, this unit is as versatile as it is handy. Improve your worksite today with the semi-automatic strapping machine!